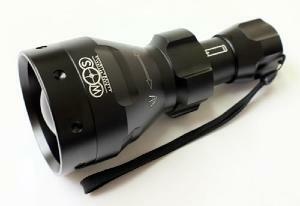 Our B672 IR LED illuminator is a great addition to your night vision setup. With it's 67mm lens and full power from a single battery this is the most powerful IR illuminator available. 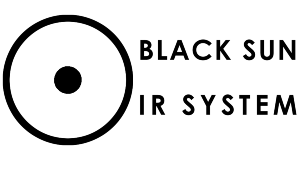 The B672 IR is fitted with the latest Black Sun 2 IR System pill giving 3-5x the output of other IR LED illuminators and a 40% power increase over the standard B671 version. This is my first IR illuminator in my life and I am so impressed !! can not believe what I was seeing at night with my NV cam yesterday. very powerfull and clean lightening. the spot is large and wide and can be focused / zoomed in very small. it is short and powerfull. I won't be needing to look after neews on IR illumination for a while. this is a durable investment at a very afordable price for the quality of it. it is the first time I get so much of a satisfaction for this amount of mone. Found these latest improved Sun 2 IR's to be excellent. Improved range and clarity with my Ward 700 add-on unit plus traditional gen 2 NV unit(s). Many thanks also to Clive for further spare shims for Ward 700 add-on, after loosing my last one in the dark earlier this year.